The Dublin-Laurens County Chamber of Commerce is a membership driven organization focused on the economic growth of our region. Where agriculture, skilled workforce and small businesses have something in common… GROWTH! We promote partnerships with our schools and industries in an effort to increase leadership in our area. 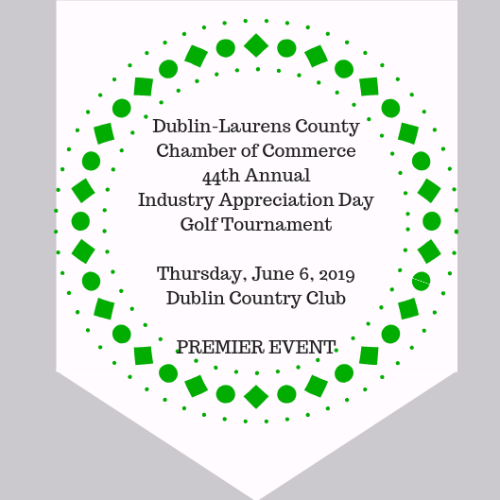 Scheduled for Thursday, June 6, 2019 at the Dublin Country Club. 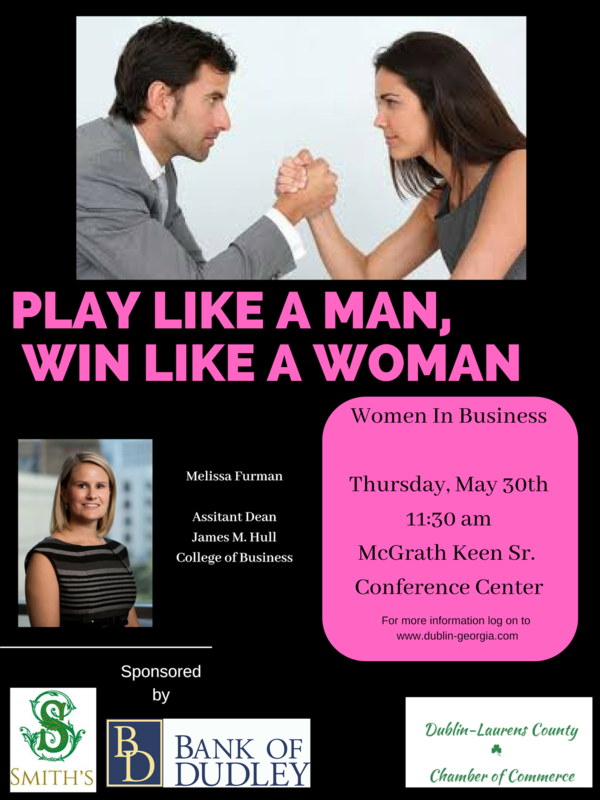 Women in Business - "Winning Like a Woman, While Playing Like a Man - Navigating the Game"
Business and Breakfast Networking Event- Held at member companies throughout the Dublin-Laurens County area. This event offers networking in a relaxed, social setting. Companies host this event to showcase their business and to offer a service to their fellow chamber members. Local community updates specific to District 5 will be given. Join us, along with State Senator Larry Walker, State Representative District 150, Matt Hatchett and State Representative District 144, Danny Mathis , to discuss the issues for the 2019 Session. Bring your questions and enjoy a light lunch.